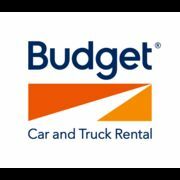 Get the best car, van and truck hire deals at Budget Car & Truck Rental Albury! With over 220 car hire locations in Australia, you're Good to Go with Budget. Rate and review Budget Car & Truck Rental Albury in Thurgoona, New South Wales, Australia! Share your experiences at Budget Car & Truck Rental Albury with your friends or discover more Car Rentals in Thurgoona, New South Wales, Australia.